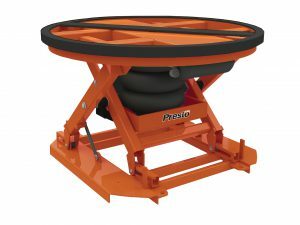 Designed specifically to make the job of loading and unloading pallets easier. 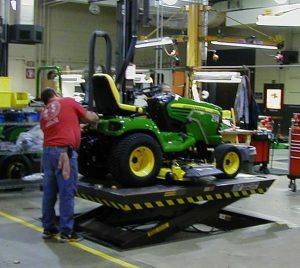 Because the load height adjusts as items are added or removed, workers are not required to bend or stretch as they would if the pallets were on the floor. Some units have turntables which further simplify the process. 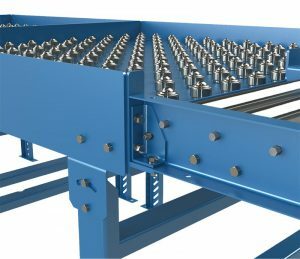 Ball Transfers are used to manually rotate, reposition, or remove flat bottom surfaced products easily and efficiently. 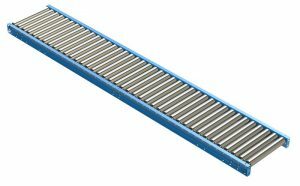 They can be used on the floor, as stand-alone tables or inserted into non-powered conveyor systems. 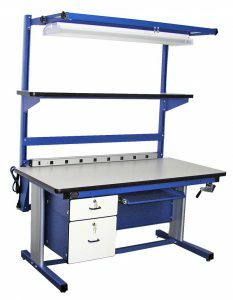 This work bench features a lower metal shelf, end guards and back guards, back stop, uprights, two louvered bin panels, two 18″ deep cantilever shelves and deluxe overhead light fixture. 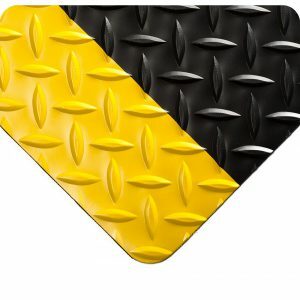 Protects floors from heavy foot traffic, increases traction and provides comfort for periods of standing in one location. 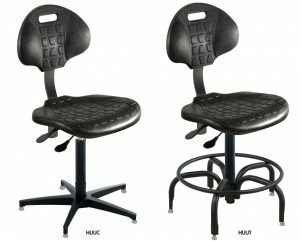 Recommended Uses: Automotive and industrial work cells. 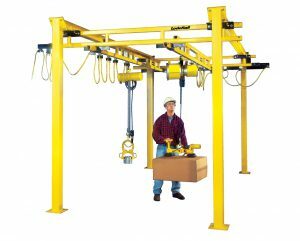 This can include packing, machine shops and maintenance dry areas.